Home • Blog • A network of little libraries. A network of little libraries. 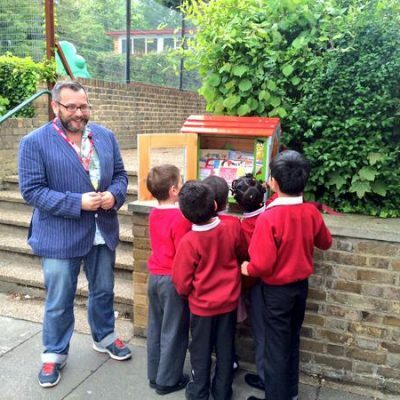 Give a Book is delighted to be working with Little Free Library Network UK (LFL) on a project at Heathmere Primary School in Roehampton, London. Heathmere is located in the middle of the Alton Estate and doesn’t have a school library at the moment. To help encourage a love of reading at the school and provide a regular supply of engaging books, we’ve teamed up with Little Free Libraries to build a mini network of Little Free Libraries at Heathmere. There’s a new Kickstarter page to help raise the funds for this much needed project. We’re asking you to support us if you can by pledging any amount starting at £1. 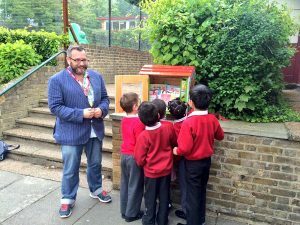 However, if you, your community or an organisation you represent is willing to pledge £250, LFL will build you your very own Little Free Library too. 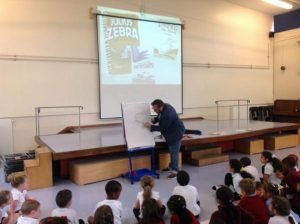 Gary Northfield, creator of the brilliant Julius Zebra, opened the first little library. As soon as it was installed, and as the school day came to an end, children and parents stopped by to take a look and pick up a book. “At Heathmere Primary School, we are passionate about reading. We want to give our children every possible opportunity to pick up a book, open a page and get lost in a story. 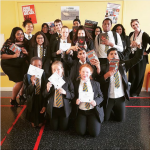 Developing a love of books and encouraging children to read for pleasure is at the heart of everything we do. We are setting up a library in school, investing in the books children have in class and inviting authors in to school to talk to the children – anything and everything that helps children to read. The Little Free Library was built from 100% recycled materials and decorated by one of our in-house artists with an inspiring fairytale theme. It will be located in the school playground where children will have access to books at break times as well as before and after school. 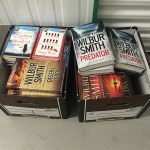 Give a Book will be donating books to the Little Free Library throughout the year. 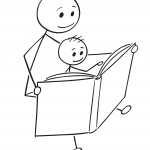 Each little library will also contain a treasure trail map showing how to get to the Big Free Library in Roehampton. The children will be making this map as a project with illustrator Monique Jivram from the House of Illustration.